We supply locks for our unheated units. They that fit into an opening in the door latch and we have found them to be very secure. 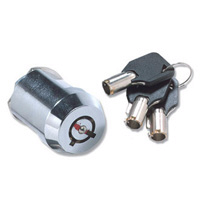 We give you lock and three keys and charge you a $10.00 deposit, which is returned you move out and return them. You will need a lock for the climate-controlled storage units. 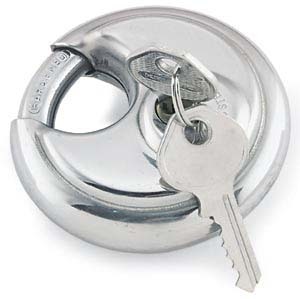 We require you to use a “closed shackle” or “disk” lock because we feel they are much more secure than ordinary padlocks. We sell some in the office, or you can bring in your own. We require all trailers to have a hitch lock. We sell them in the office, or you can bring your own.